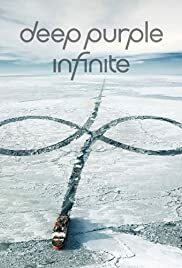 Three weeks before the official launch date of the new album "inFinite" of rock legend Deep Purple CineStar presents the accompanying film "From Here To InFinite" on the big screen. The exclusive cinema premiere of the film, which offers captivating insights into the genesis of the upcoming studio album, took place on March 16,, 2017 at 8pm. In addition, fans can hear for the first time and world-exclusive three songs from the brand new album "inFinite". "From Here To InFinite" accompanies five legendary musicians on their moving journey to Nashville to record their latest album - and once again find out that the power of music and friendship will never end. As close as in this 90-minute film, Deep Purple never had cameras close by. The new studio album "inFinite" of the recently recorded Rock and Roll Hall of Fame musicians was released on April 7, 2017 and is the successor of the worldwide chart success and in Germany with Gold Award-winning album "NOW What ?!". In May, Deep Purple ... Written by Jay A.